‘Tis the season for pumpkin patches and Halloween parties! Celebrity families were spotted enjoying the Mr. Bones Pumpkin Patch while Sandra Bullock and Louis headed out for some costumed fun. 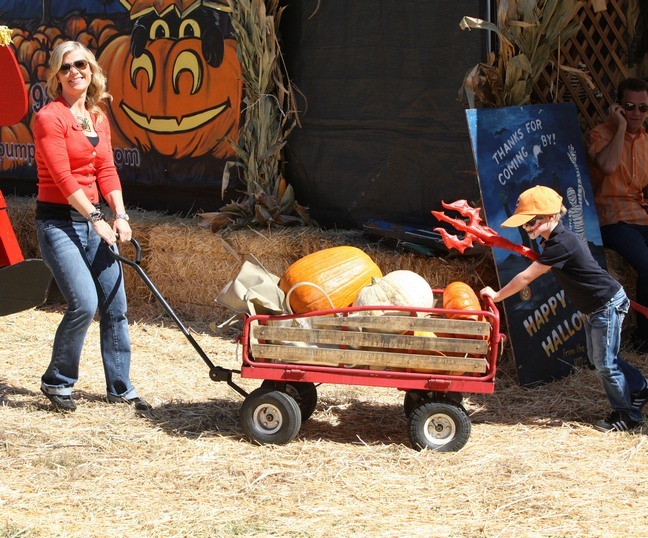 ‘The Biggest Loser’ hostess and ‘Days of Our Lives’ star Alison Sweeney and her kids Ben, 5, and Megan, 2, headed out to the Mr. Bones Pumpkin Patch in L.A.
Comedian Byron Allen and his wife took their daughters Chloe and Olivia to the pumpkin patch and had some fun on top of the huge rocking horse. 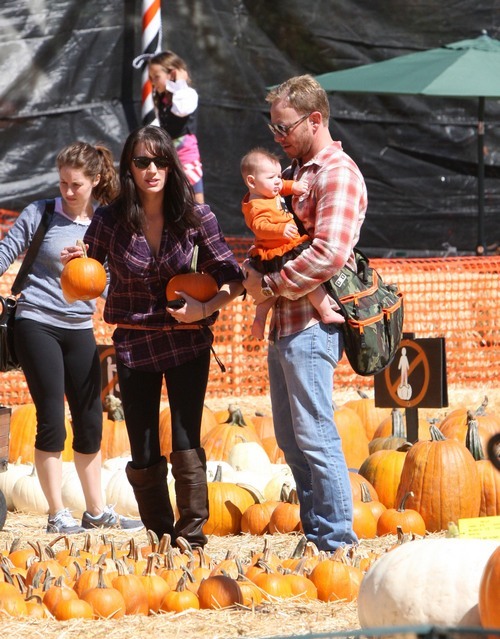 Ian Ziering and his wife Erin took daughter Mia, almost 6 months, to pick out her first pumpkins. 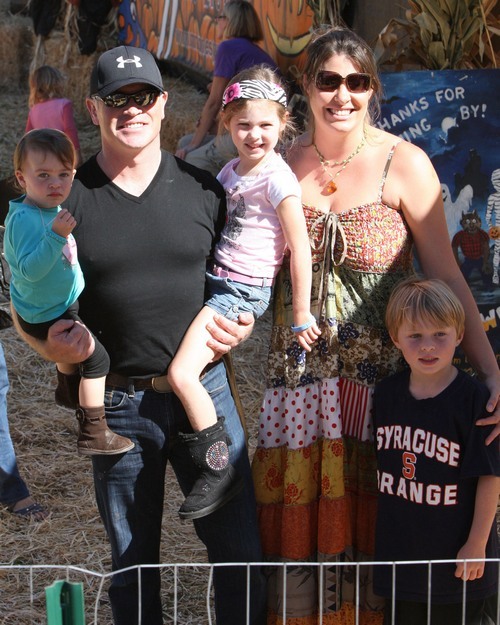 ‘Captain America’ star Neal McDonough and his wife Ruve spent Saturday at Mr. Bones with three of their four children: Catherine, Morgan, and London. Their youngest daughter, Clover Elizabeth, was just born in August. 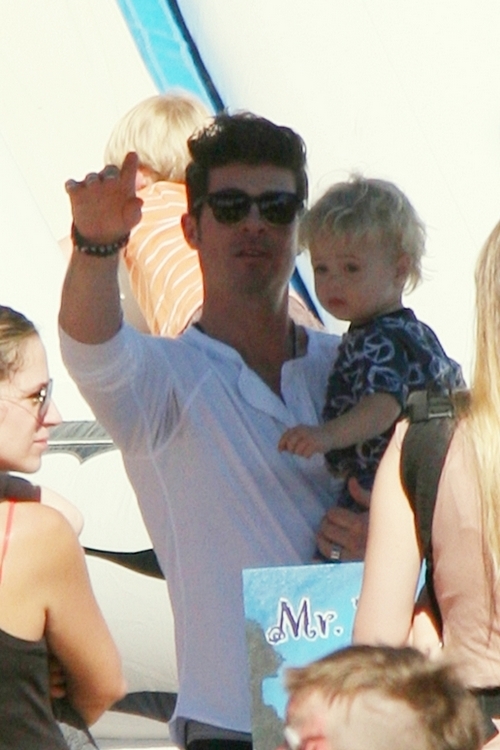 Robin Thicke and his son Julian Fuego, 6 months. Sandra Bullock and her son Louis were snapped heading to a Halloween party – dressed up in their pirate gear!